All commercial fishing is at times exhausting; at least every fishery I’ve encountered has proven to be so. 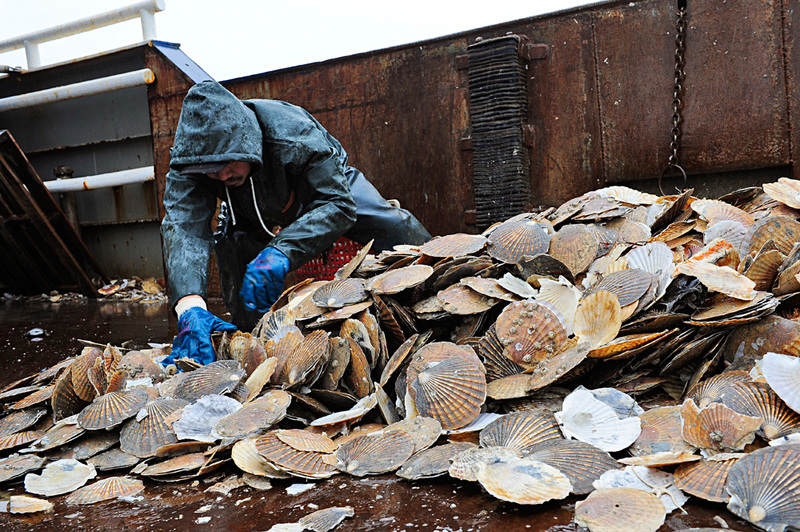 The Alaskan commercial scallop fishery is no exception to the rule. 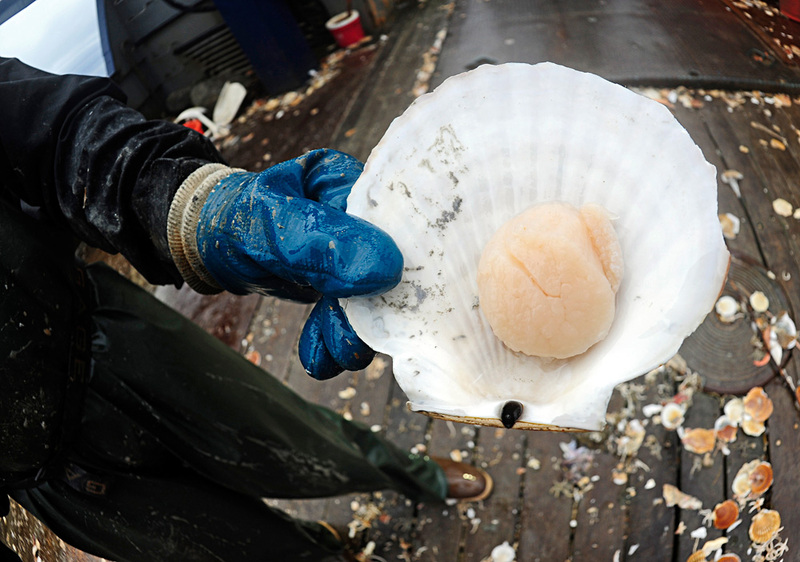 Last September, I went out on the F/V Arctic Hunter to document the fishery off of Yakutat in the Gulf Alaska for a week to get a taste of what it is like for scallop fisherman; in a word grueling. 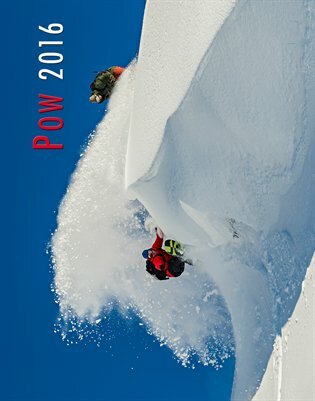 For starters it is a 3 to 4 month season that takes the boat and its crew of twelve to the waters off of Kodiak, the Gulf of Alaska near Yakutat, and finally to the Bering Sea. 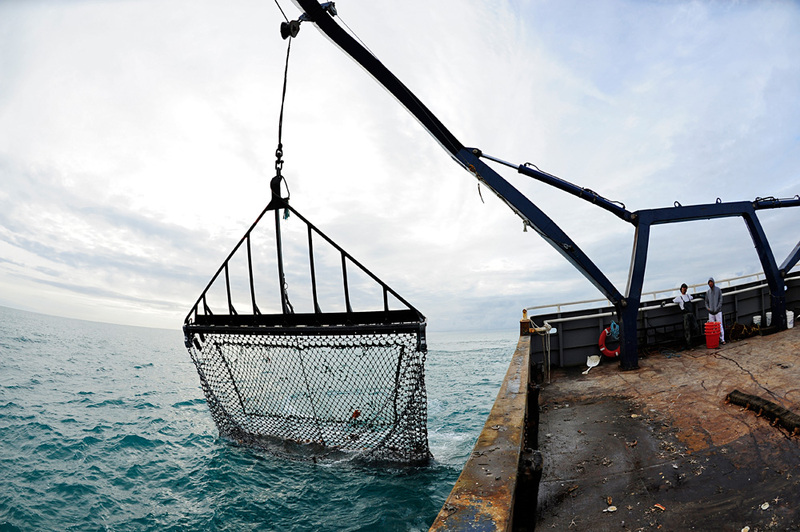 The boat is mostly autonomous as it catches, processes, and freezes its catch; only occasionally stopping in port during the season to drop off the catch. 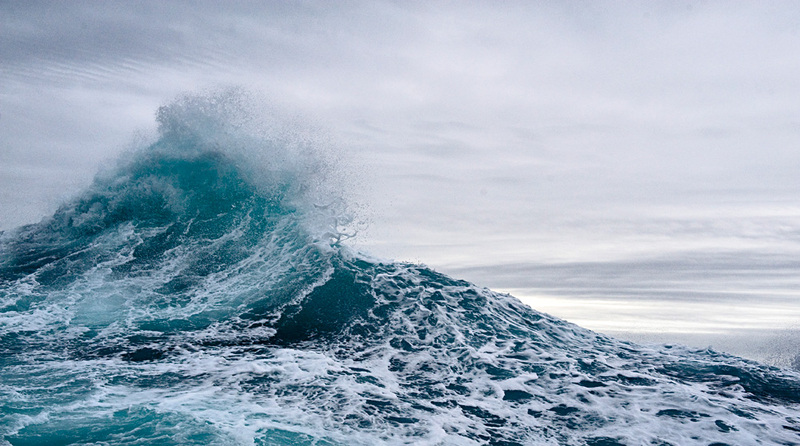 The weather in the Bering and Alaska Gulf can frequently be nasty, and with no nearby ports to duck into the boat is left with no choice but to ride out any storms on the fishing grounds. 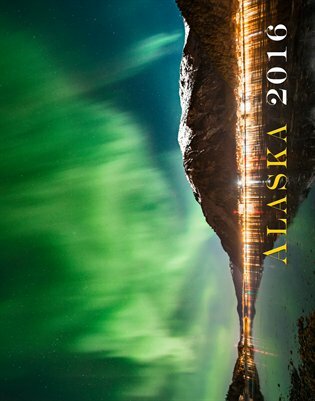 As far as I could tell the one silver lining to the situation is that the average workday is only 12-hours, as the boat operates with a crew of 6 that cycles twice a day. The plus being that there’s a routine that can be settled into, unlike most fisheries that I have participated in, which are non-stop or simply chaotic with no real schedule to speak of. 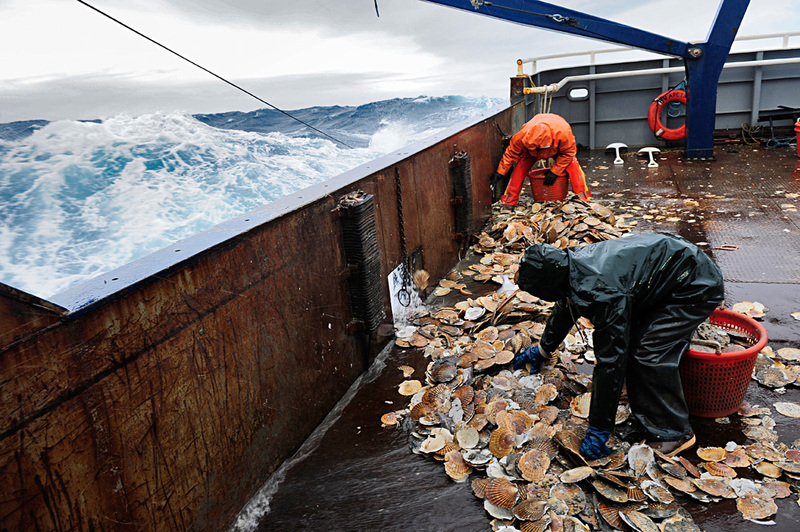 The work itself for those twelve-hours is literally backbreaking as they spend a good deal of the day bent over a pile of scallop shells filling baskets, then shucking all the scallops as fast as they can before the dredge comes back up with another load of mollusks. I jumped in and worked with the crew for parts of each day, they move unbelievably fast especially when it comes to shucking. I jumped into the shucking box, thinking that my years of commercial fishing would pay off, I couldn’t have been more wrong. 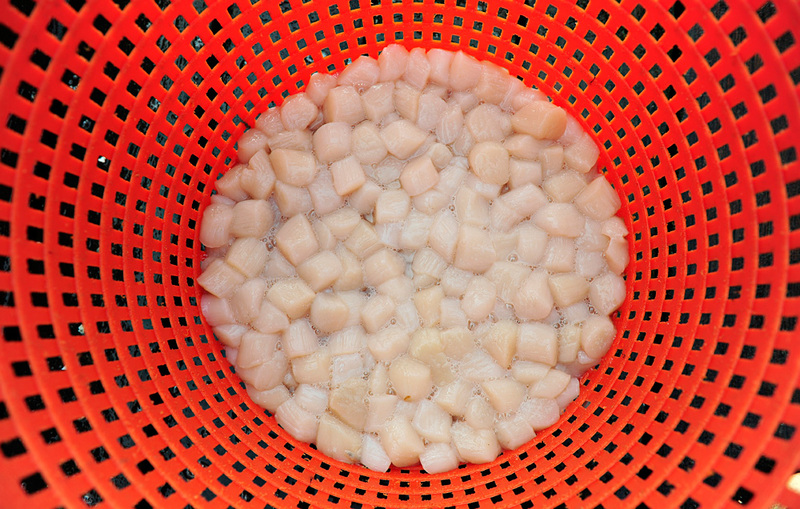 For every scallop I managed to peel apart, scrape away the guts, and toss the meat in a bucket, the guy on either side of me had finished two and was onto his third bi-valve. By the end of the trip I managed to catch up to the end of their second scallop, but it took a lot of practice and the occasional elbow or joke to slow them down. 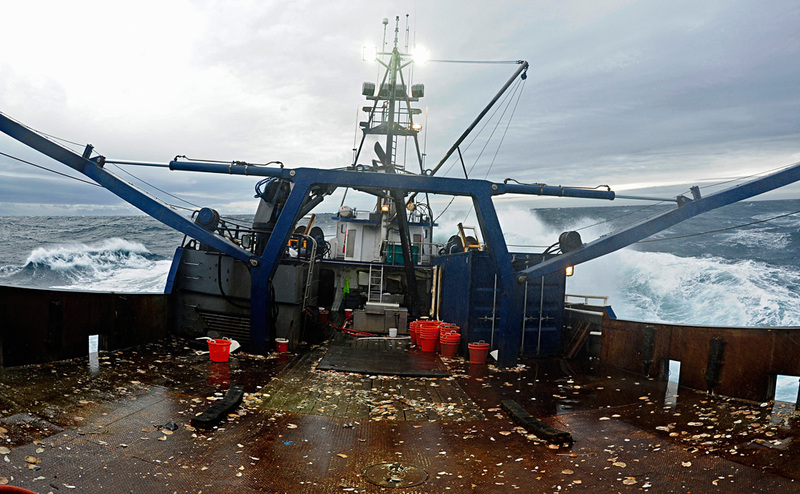 To catch scallops the boat uses two dredges suspended onto the seafloor by cable. The dredge itself consists of a large metal bar with a thick metal sweep chain that suspends in front of the bar to stir up the scallops. 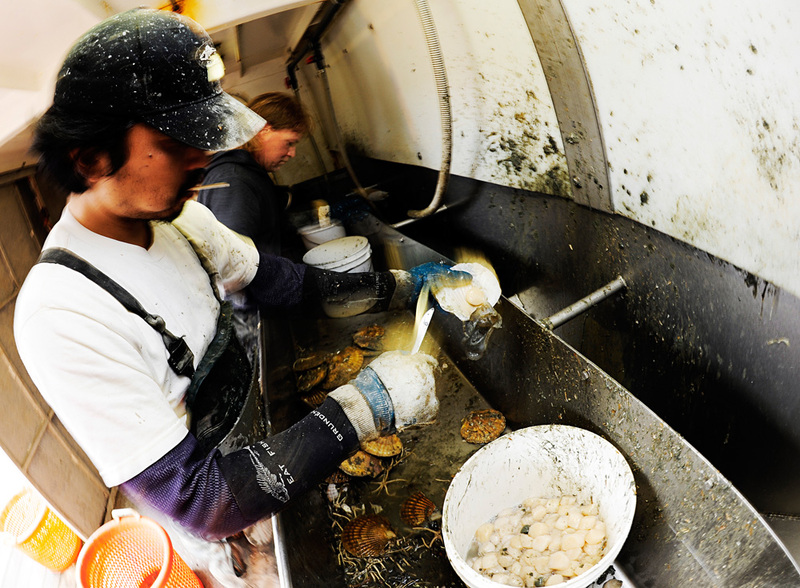 The dredge is drug through the muddy bottom at a few knots, and the scallops are collected in what can best be described as the type of chain mail a medieval knight of giant proportions might wear. After about 45 minutes on the bottom the dredge is lifted to the surface, dumped of its catch, and then lowered back to the bottom. 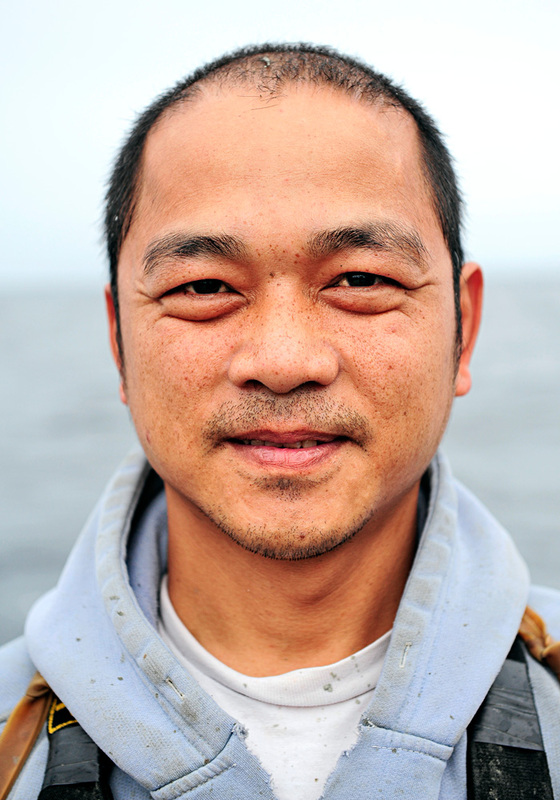 The two dredges are always alternating so that the boat is constantly fishing 24-hours a day. 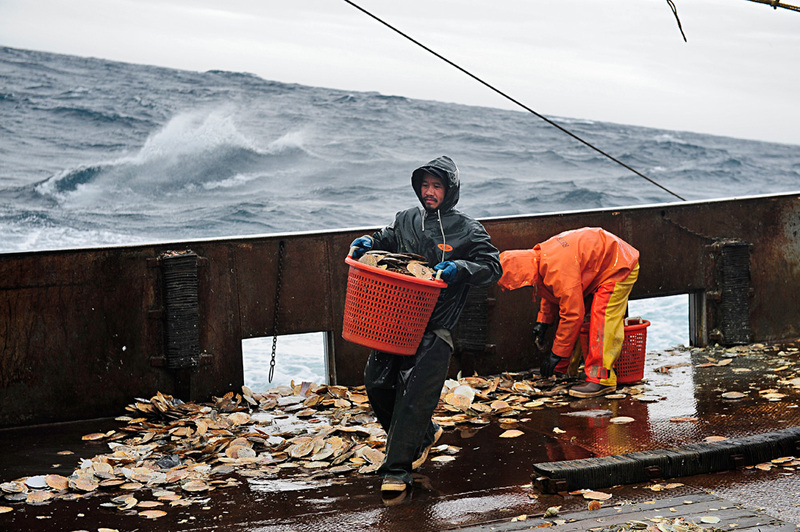 At the end of each shift a few of the crew switch over and start processing the catch. This involves cleaning, sorting by size, bagging and then fresh freezing the scallops. 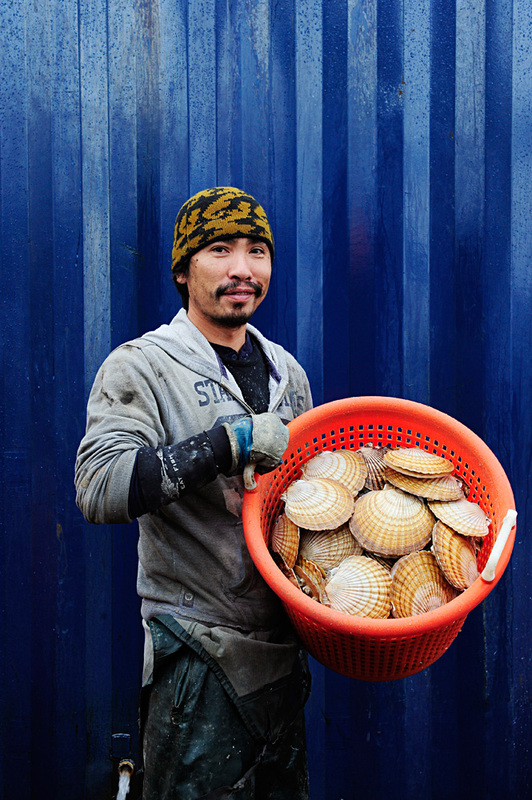 The scallop fishery in Alaska is small, by comparison to the East Coast. 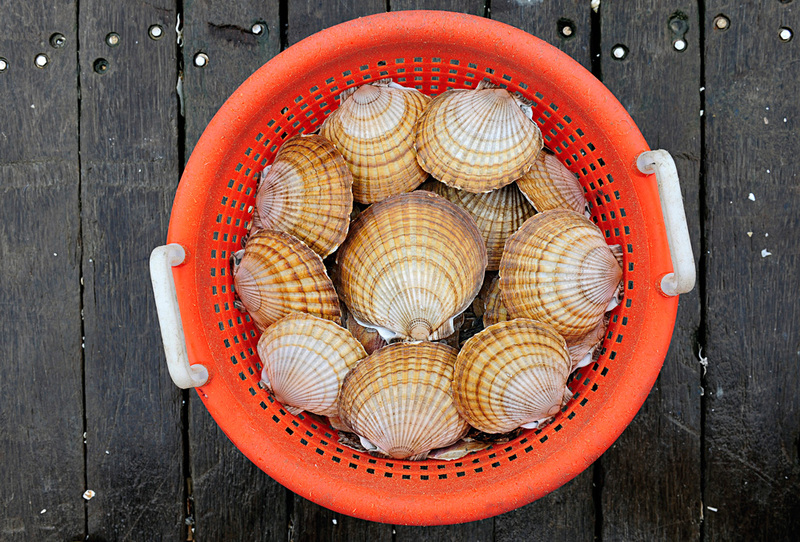 What the Arctic Hunter catches in 3 months, a good East Coast scallop boat can catch in 2-3 weeks. 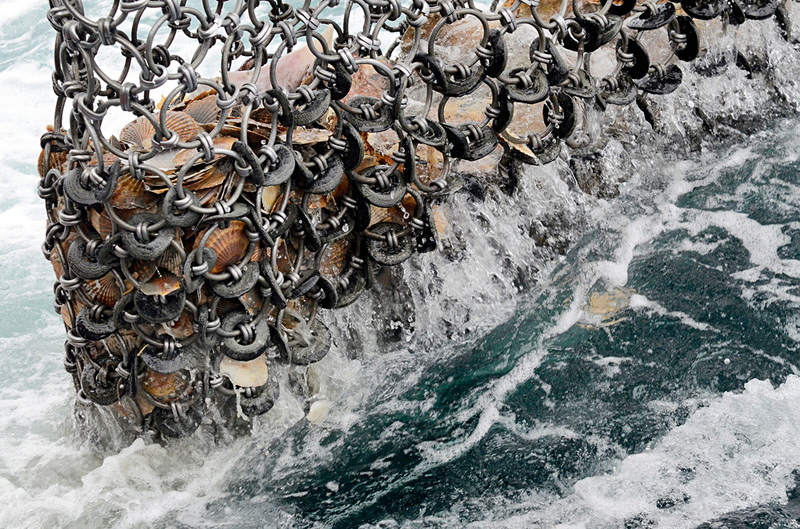 The fishing grounds in the Atlantic are apparently very fertile, but this doesn’t deter the crew of the Arctic Hunter. 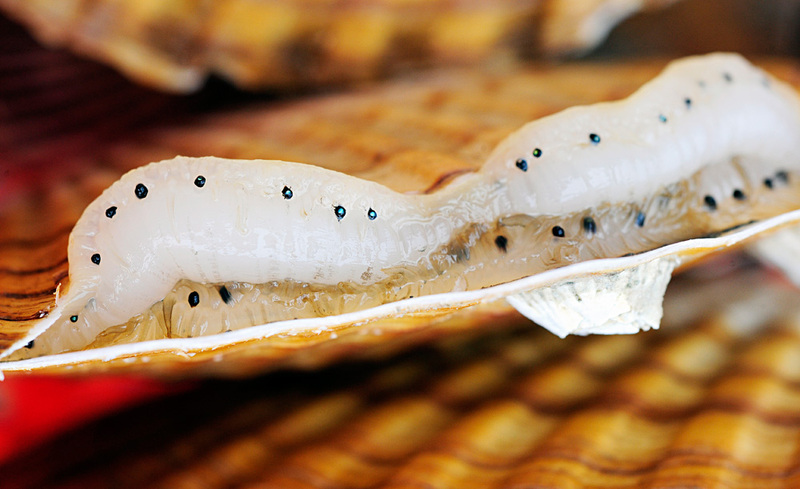 They continue to ply the waters for what they feel is a better product, and having eaten my share of Alaskan scallops I can certainly attest that they are superior in every way. THANKS, GREAT, TOP STORY, GREAT QUALITY PHOTOS, GIVE US MUCH MORE, PLEASE! !